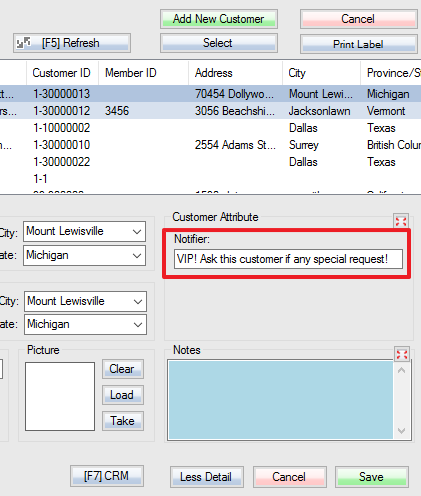 The Notifier Attribute will allow you to populate a message in the attribute field which will be displayed in a pop-up window on the screen when the SKU is added to a transaction in the POS screen, or when the customer is selected in POS screen. First, add a text attribute called Notifier. Step 1: Select Product or Customer attribute entity type. Step 2: Name the attribute “Notifier” without quotations. 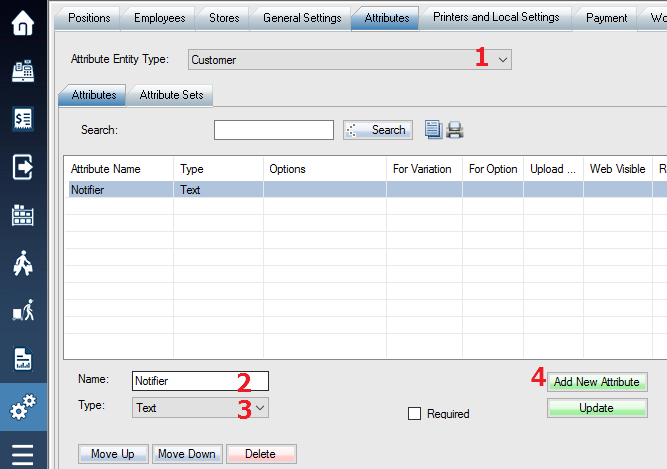 Step 4: Click “Add New Attribute” to create the attribute. 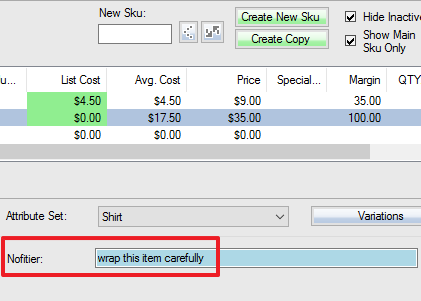 Step 5: If this is for a SKU (product entity), add the attribute to an attribute set. After you have created this attribute, you will want to go to the SKU or the customer which you want to enter a message for, and populate that message in the attribute field. Be sure to click the Save button before navigating to another part of the software. 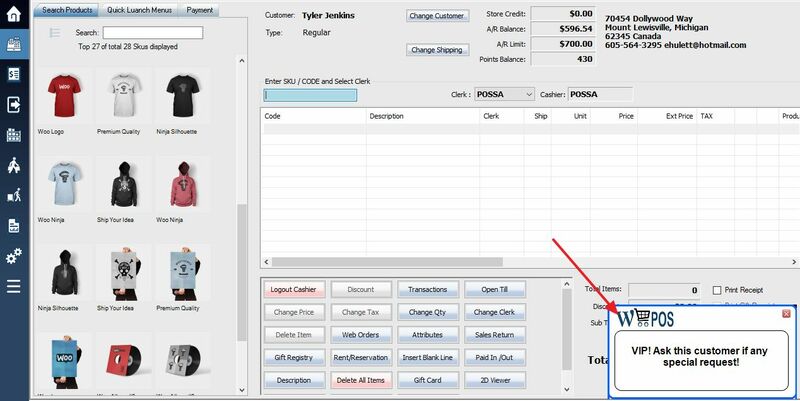 You will now see that when you add the SKU for a transaction, or when you select the customer, the message you entered will appear in a pop-up window in the bottom right-hand corner of the screen.